1999: Following Pope John Paul II’s vision that Europe should “breathe with two lungs,” East and West, Orthodox and Catholic, we began to work to improve Catholic-Orthodox relations through common cultural and social projects. We visited with Archbishop Tadeusz Kondrusiewicz in Moscow, met Archimandrite Hilarion Alefeyev, and consulted with the Pope’s secretary, Don Stanislao Dsiwisz, in Rome. 2001–2004: In 2001, we hosted a group of Russians in Rome in October; the group met with Pope John Paul II. At the end of 2001, we negotiated and found support for a special concert by a Russian Orthodox children’s choir, which flew from Moscow to Rome to sing in St. Peter’s Basilica for the Pope on New Year’s Day, 2002. During several trips to Russia, we came to know the remarkable story of the disappearance and rediscovery of the holy icon of Our Lady of Kazan, known as “the protection of Russia.” Meeting with the Pope’s secretary and with officials of the Russian Orthodox Church, we worked to bring about the icon’s return. The icon returned to Russia on August 28, 2004. 2006: We helped support, and attended, a watershed Catholic-Orthodox conference in a castle in Vienna, Austria. There, for five days in early May, Church leaders were able to get to know one another and discuss issues freely. The conference, organized by the “Pro Oriente” Foundation in Vienna, was entitled “To Give a Soul to Europe,”and is now regarded as having marked a “breakthrough” in Catholic-Orthodox relations. 2007: We supported and organized a concert in Rome on March 29th, in which a Russian Orthodox orchestra and choir performed “The Passion of St. Matthew,” a work composed by Russian Orthodox Bishop Hilarion Alfeyev. Also in 2007, Urbi et Orbi Communications supported the delivery to Kazan, Tatarstan, of several sacred relics from Italy on May 13, and the discussion of future common work to fight alcoholism in Russia. Urbi et Orbi Communications supported and organized, later in 2007, an exhibit on the “Spiritual Renewal of Russia” in the Basilica of the National Shrine of the Immaculate Conception in Washington, D.C. At the same time, we supported and organized the performance of a “Christmas Oratorio” by a Russian orchestra and choirs in Washington, New York, and Boston on December 17, 18, and 20. 2008: We supported a commemorative “Requiem for the Romanovs” in Moscow, a concert and exhibition recalling the lives and deaths of the last Russian czar, Nicholas II, and his family on July 16th, 2008. We supported a concert of Christmas music held in Vienna, Austria, on December 22. Also in 2008, we celebrated the Fifteenth Anniversary of Inside the Vatican, and we took our first ITV pilgrimage group to Rome and Assisi. 2009: The electronic Moynihan Report was launched, modeled after a series of “News Flashes – from the desk of Robert Moynihan” in e-mail form. 2012: In December, we formalized our work by creating the Urbi et Orbi Foundation. The focus of the foundation is to “build bridges” between Christians, especially in the East and the West, in defense of our common beliefs. The Moynihan Letters, an online collection of Dr. Moynihan’s e-mail reports on the Church and world affairs was developed. 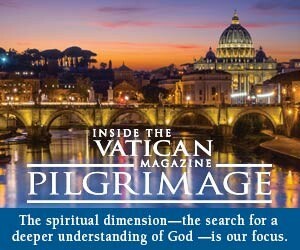 2013: We celebrated twenty years of the continuous publication of Inside the Vatican magazine. A summer project in Kharkiv, Ukraine, helping dozens of Orthodox children with physical handicaps to participate more easily in the life of their schools and communities. The respected Russian Orthodox Metropolitan Filaret in Minsk, Belarus, who hosted an important Catholic-Orthodox theology conference in November 2013. A “Concert for Peace” in November in Rome, which we organized in partnership with the Russian Orthodox “St. Gregory the Theologian Foundation” of Moscow, founded by Russian Orthodox Patriarch Kirill and Metropolitan Hilarion. We worked closely with several offices in the Vatican, especially the Pontifical Council for Cultural and the Pontifical Council for Christian Unity. Cardinal Kurt Koch and Cardinal Gianfranco Ravasi, the heads of those two Councils, attended both the event and a reception preceding the concert. After the concert, both cardinals thanked the Urbi et Orbi Foundation for making this important event a reality. 2014: The Urbi et Orbi Foundation supported with a significant and timely grant the fourth Orthodox-Catholic Forum in Minsk, Belarus in June, which brought together Orthodox and Catholic bishops from around Europe to discuss religious freedom in the increasingly secularized society of Europe. In July, the Urbi et Orbi Foundation held its first pilgrimage, to Moscow, Istanbul, Vienna, and Rome to seek counsel on the next steps that could be most fruitful in our effort to build Church unity. In December, the Urbi et Orbi Foundation held it’s first annual dinner in Washington, D.C. at the Papal Nunciature. The two-day event also included an opening Mass at St Matthew’s Cathedral and a roundtable at the National Press Club. Click here to watch the video of the Press Club event. Future Projects: We plan to hold a series of cultural events and conferences with the aim of improving Catholic-Orthodox relations. These events will be in America, in Russia, in Rome, and elsewhere in Europe. We produce many of these talks, events, music and discussions into CDs and DVDs for distribution. 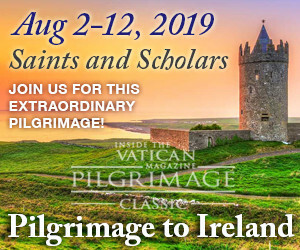 In addition, we plan to continue to offer an Annual Urbi et Orbi Foundation Pilgrimage to Moscow, Istanbul, and Rome in July as well as an Annual Urbi et Orbi dinner in December. For more information about these Annual Events, or to be added to the list please contact Theresa Norris at [email protected].